In creating our sixth issue of Make,  ‘The Happiness Issue’, we mulled over this nebulous subject and though we haven’t come up with the definitive source of happiness, it’s been good to ruminate over what choices create our own, personal dopamine spikes. One thing we know for sure is that you can’t buy it, though we hope that this issue might inspire a happiness-inducing shopping trip if that’s what gets you going! 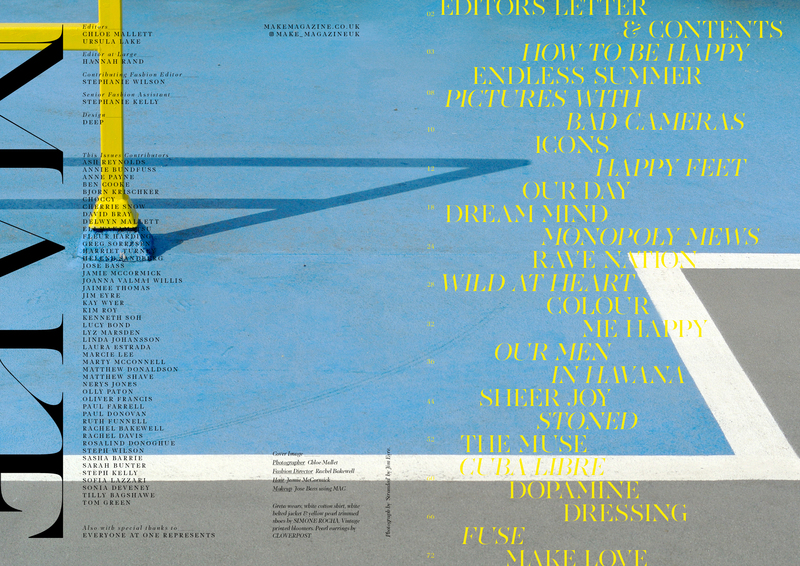 As always, we have collaborated with (and are totally indebted to) some really talented creatives who have helped us make this beautiful issue. We feel sure that at the very least, it will make you happy to see their incredible and inspirational work. Chloe & Ursula. June 2018.